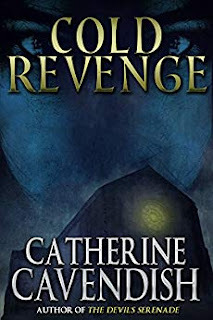 We've all heard the proverbial saying, "revenge is a dish best served cold," but nowhere does that ring so true as it does within the pages of Cold Revenge. Catherine Cavendish invites us to an odd sort of dinner party, a cold, quiet affair consisting of just a few couples, none of whom know one another, overseen by a mysterious woman, where mingling is certainly not encouraged, despite the unusual seating arrangements once dinner is actually served. Dark, creepy, and unsettling, Cold Revenge is as much about the telling as it is the tale. We know early on that one half of each couple harbors a terrible secret, with Cavendish teasing those stories out over the course of the evening. What we don't know, not until the big twist, is how those stories are connected, or how those couples have come to their hostess' attention. The serving of dinner itself is a nice touch, with each guest finding their favorite appetizer before them, but it's that first bite that pulls story and backstory together, serving just deserts upon them in surprising ways. I do wonder whether the story might have been stronger had it simply ended with those fateful bites, instead of explaining everything, but it does allow for an interesting exploration of guilt and remorse that . . . well, it doesn't dull the cruelty, but perhaps turns the blade, just a bit. Disclaimer: I received a complimentary copy of this title from the author. This does not in any way affect the honesty or sincerity of my review.